Once upon a time, there was a woman named Pamela. She was a strong, vibrant woman who worked as an operations administrative assistant for a company called FGL Sports, which operated a chain of sporting goods stores in Canada. Pamela took care of the administrative needs of the director and senior management team. 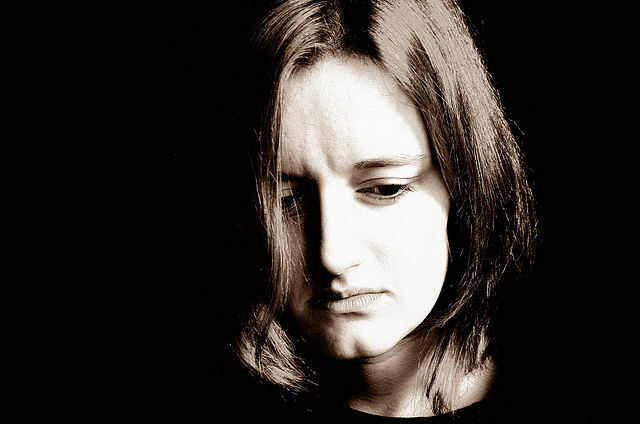 Unknown to these people, Pamela lived with fibromyalgia and osteoarthritis. She did her job so well that she was able to keep these illnesses hidden for a long time, but they gradually started to get in the way of her work. Pamela eventually had to leave her job and go on permanent disability. That was really devastating for Pamela because work was her life! She loved everything she did, from organizing training meetings and corporate functions to keeping her boss’s life on track. Once she was no longer working, a lot of negative feelings started to dwell up inside Pamela. She started feeling depressed, angry, sad and lonely. These were natural responses to having a chronic illness, but it was also frustrating to have to deal with them on top of not actually having a job to go to. Pamela felt herself getting more depressed and sometimes it was easier to just stay in bed and sleep rather than get up and face life. She knew this wasn't good, but there really wasn't any reason to get up anymore. Well, of course, that woman was me. It was a difficult phase of my life, as work had always been my passion. I was an administrative specialist in retail support for most of my career and I loved what I did. Every day was a treat. Unfortunately, my body just couldn’t keep up with me. The pain and exhaustion that goes along with fibromyalgia and osteoarthritis took over my body and I had to surrender to it. There simply was no other choice. After some time, I took a chronic pain management course and started feeling better mentally. This course explored the various stages of grief we go through when you experience a job loss because of illness and disability, and I realized that was exactly what had happened to me. I had been grieving. There are five stages of grief: denial, anger, bargaining, depression and acceptance. The instructor asked us what we had to give up in our lives because of chronic illness. He had us make a list and to really think about what was on that list. Mine, of course, was my job and the volunteering that I loved to do. I knew going back to work wasn't going to happen again, but I was sure there must be a way I could use my volunteer skills on my terms. Then one day I noticed an advertisement in my local paper for an organization called Patient Voices Network in British Columbia and it looked perfect for me. The group was looking for volunteers who could be the voice of the patient when health care providers needed that voice in their engagements. I attended an orientation session and before I knew it, was attending my first assignment! I loved it from the start and have been an active participant ever since. Currently, I am the co-chair of the Oversight & Advisory Committee for Patient Voices Network. I also sit on the Clinical Resources Committee for the BC Emergency Physicians Network. It’s amazing how getting involved again in something you love can bring the grieving process full circle to acceptance. I realized that I had given up a lot because of fibromyalgia and osteoarthritis. But by accepting my new limitations, I actually gained a whole lot more. Pamela Jessen lives in Langford, British Columbia. She has a blog called There Is Always Hope, where she writes about living with invisible illness.